Super Mario Brothers has long been a classic video game that also makes a great birthday party theme. 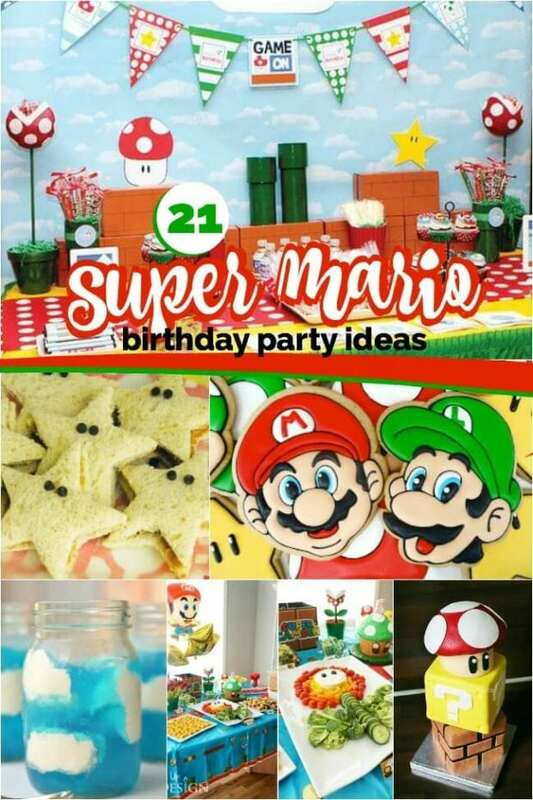 If you’re inviting the brothers to your party, here are 21 Super Mario Brothers birthday party ideas you’ll love. 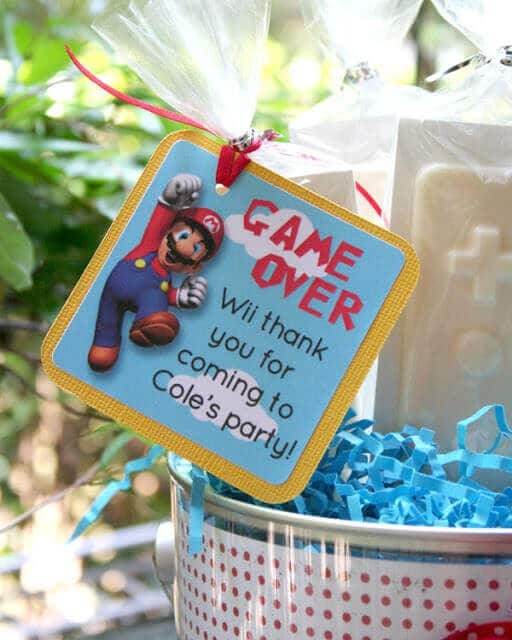 From a Yoshi egg smash party game, to toadstool appetizers, to fire flower cookies, and Super Mario Brothers cake pops, there are so many fun party supplies inspired by the game. Relive the 80’s with a fun Boy’s Space Invader Video Game Party. Boys will love to celebrate their birthday with A Boy’s First Class Minecraft Birthday Party. 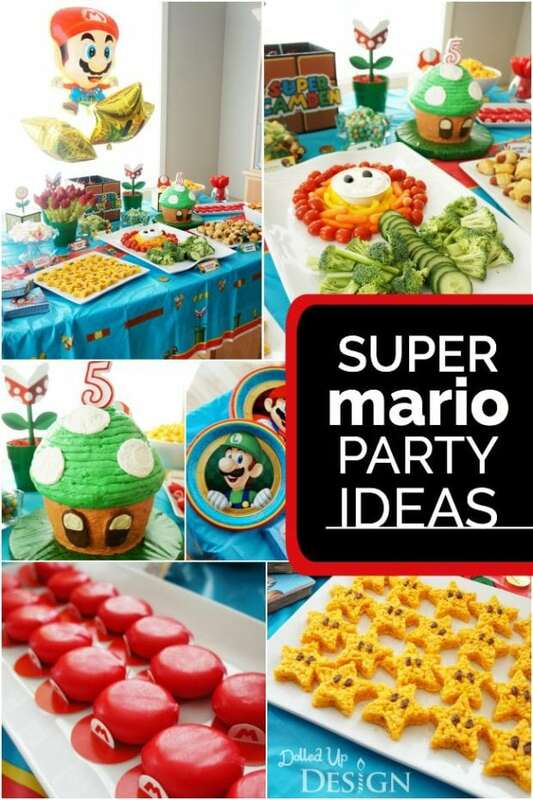 You’ll be ready to take your Super Mario Brothers party food to the next level after viewing this awesome party. 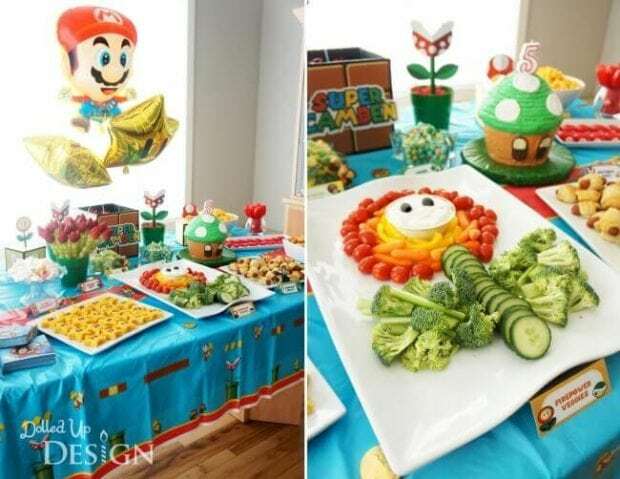 A mushroom cake, meringue cloud cookies, flower power veggie and dip platter, piranha plant inspired fruit skewers, and even Mario hats made from Babybel cheese are just a few of the creative ideas. 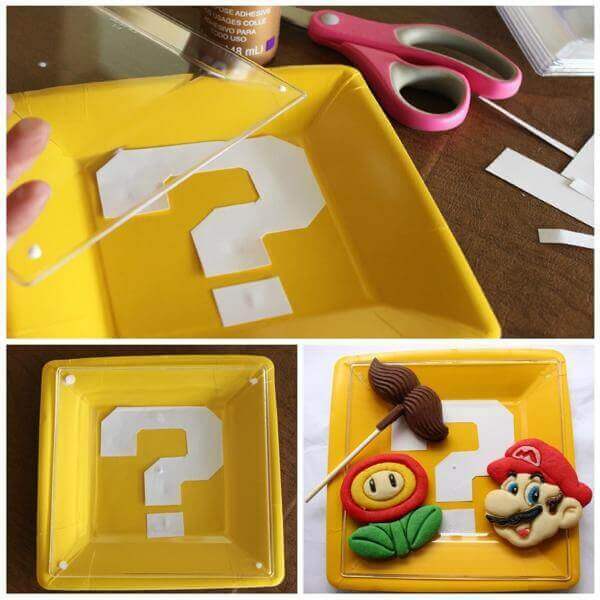 Add a little Super Mario Brothers nostalgia to your place settings by creating these easy question mark plates inspired from the video game. You’ll need square shaped yellow paper plates, slightly smaller clear square plates and question marks cut from white cardstock, sized to fit. Adhere the cardstock question marks to the yellow paper plates and cover with the clear plates. 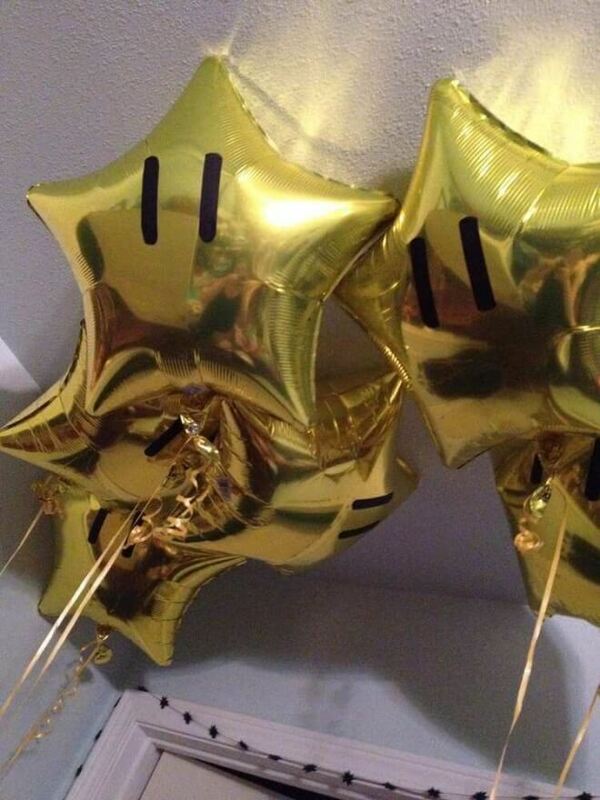 Add a little Starman power to your Super Mario Brothers party. You’ll need star balloons and black electrical tape for creating the eyes. 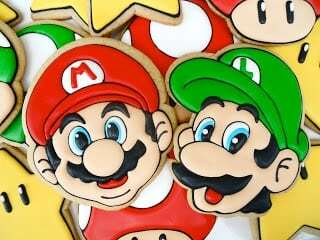 Have a little fun with your Super Mario Brothers themed party food by bringing in some of the game elements. 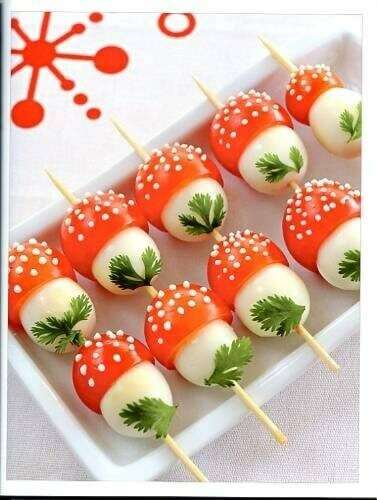 You can create these toadstool appetizers using tomatoes, mozzarella and feta cheese. Trying to come up with a fun idea for your Super Mario Brothers dessert table backdrop? 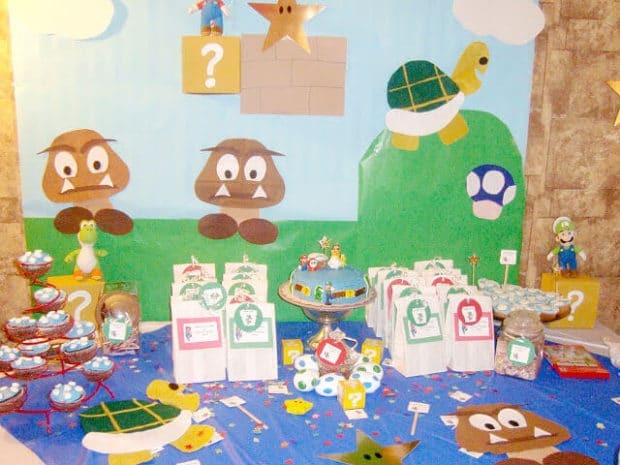 You can create a scene straight out of the video game using a variety of butcher paper, cardstock and craft supplies. 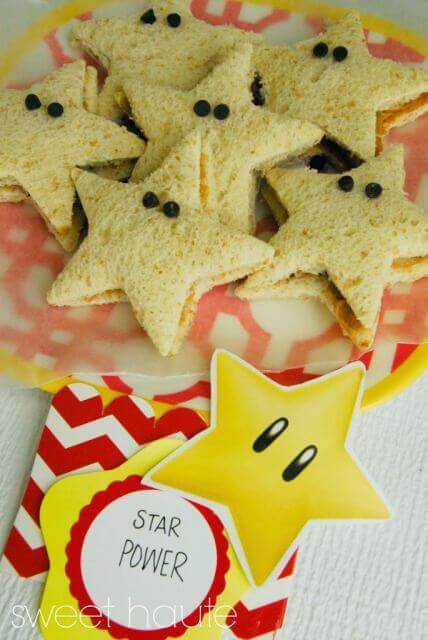 These star power sandwiches are sure to be a hit at a Super Mario Brothers party. These Nutella and peanut butter sandwiches were assembled and then cut with a star-shaped cookie cutter. The eyes are mini chocolate chips. 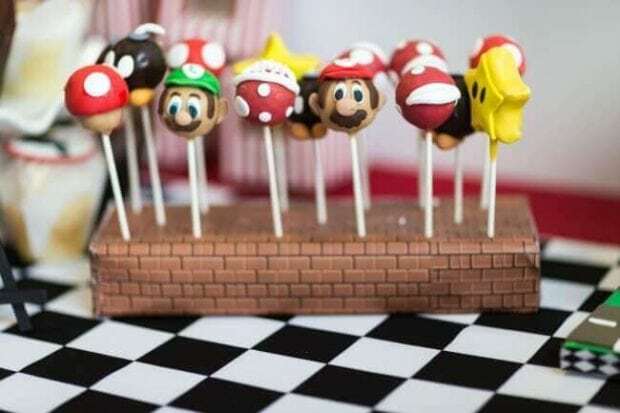 You may avoid the piranha plants in the Mario game, but guests won’t be trying to escape the jaws of these piranha plant cake pops at your Super Mario party. 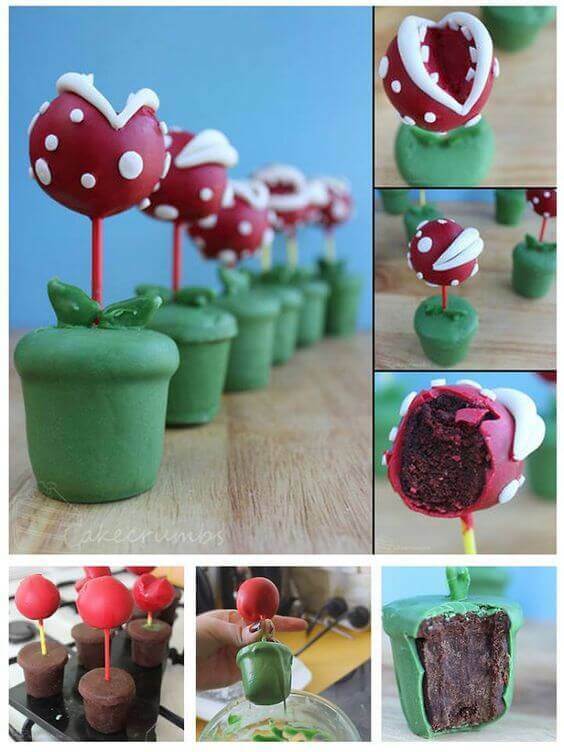 With bases made from brownie truffles and tops made from leftover cake, these piranha plant cake pops sound pretty amazing. 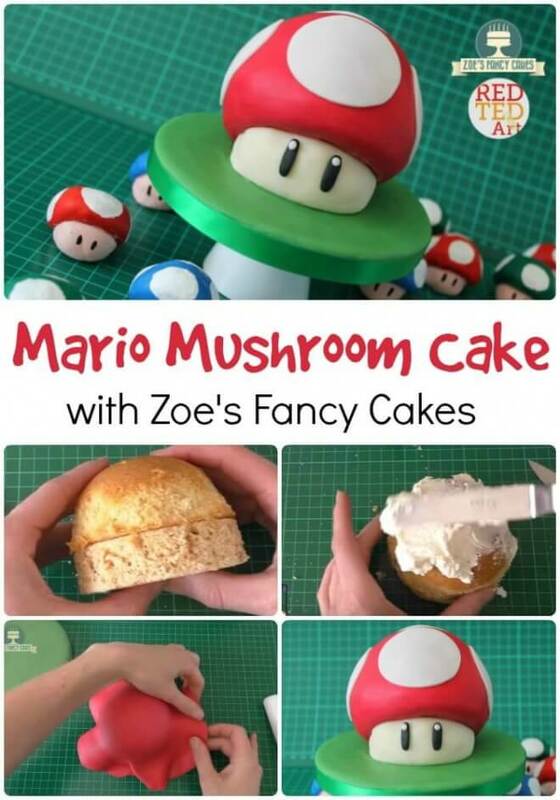 If you’re looking for a fun idea for Super Mario Brothers cupcakes, try your hand at creating characters from fondant. 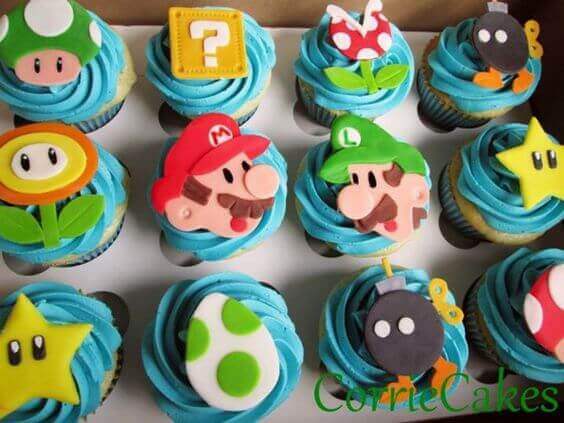 Mario, Luigi, mushroom, flower power, and so on, would all make awesome fondant toppers. Make up a batch of your favorite shaped sugar cookie dough. These Super Mario Brothers cookies are sure to give you plenty of practice making royal icing and perfecting your outlining and flooding techniques. 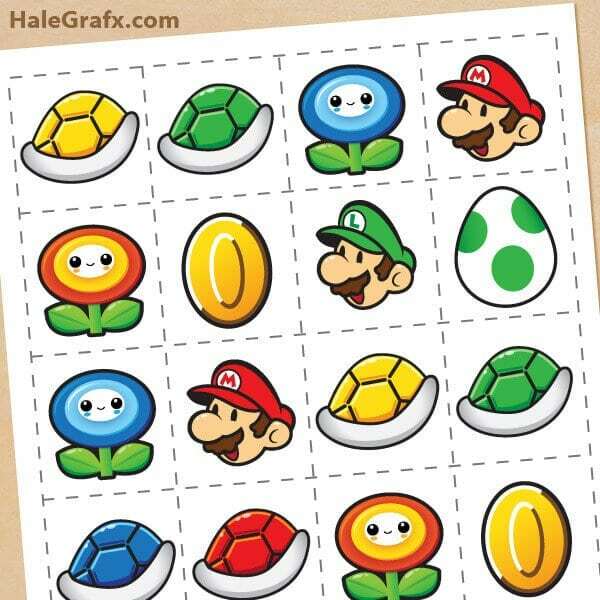 Print this fun and free Super Mario Brothers memory game to use at your party. To prepare the game, simply print and cut the 20 different Super Mario Brothers themed cards featuring Luigi and Mario and recognizable characters and objects from the game. Bring some game to your Super Mario Brothers dessert table with an awesome cake. 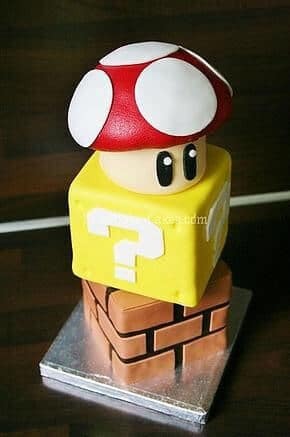 This cake features 3 unique layers all instantly recognizable from the video game—a brick, a question mark, and a mushroom. 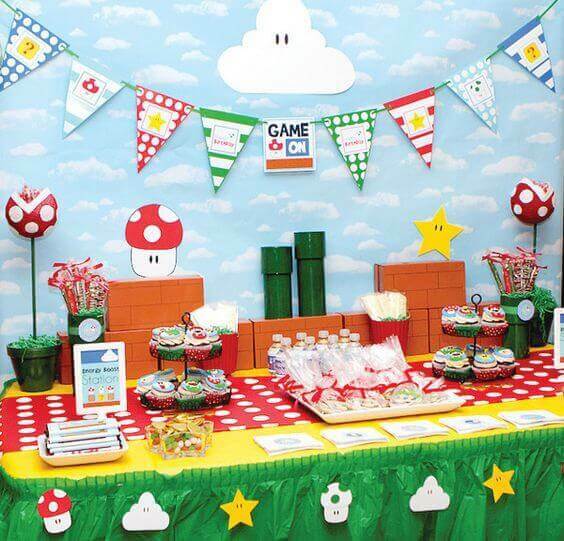 Take cues from this Super Mario Brothers birthday party to help guests feel like they are in the game. Pass out all-access gamer passes. Serve up a Mario Brothers inspired energy boost station where guests can power up on Super Mario themed treats, and entertain them with a video game arcade on wheels. Can you believe that moving boxes, paint and permanent markers are all that you need to make these amazing Super Mario Brothers brick and question mark box decorations? 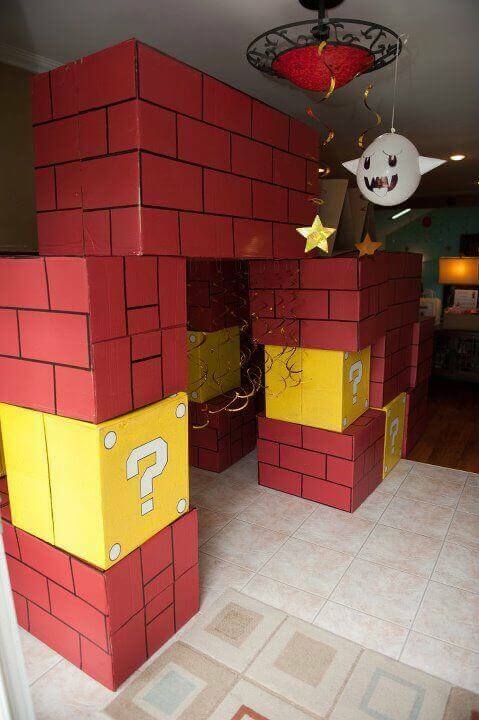 Stack them up and use them as an entrance arch for your Super Mario Brothers party or as an activity fort for playing. If you’ve ever played the Super Mario Brothers video game, you are familiar with the blue sky featuring distinct white clouds. Now you can serve up party guests blue sky Jell-O with fluffy whip cream clouds. This may be the easiest party recipe ever. Add a little action to your Super Mario Brothers party with this DIY stomp the Goombas game. 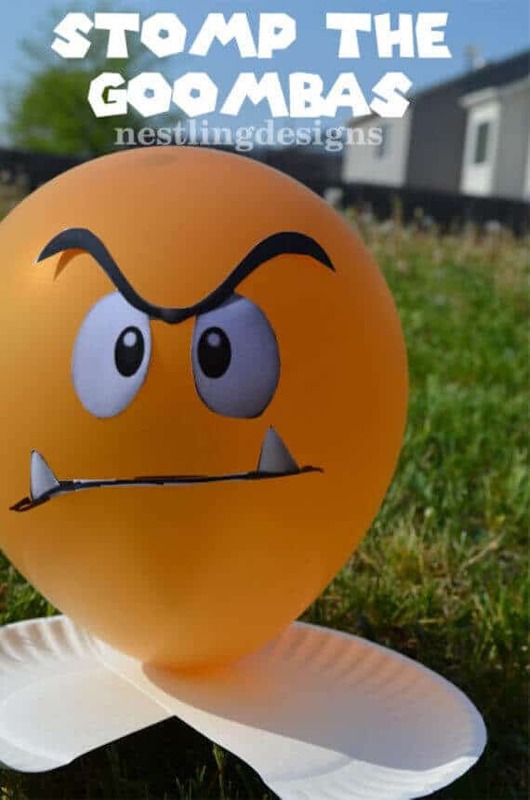 The Goombas are made from balloons, paper plates and printable paper faces. 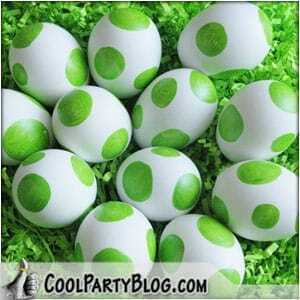 This Yoshi egg smash game made from egg shells is genius. You’ll just need real eggs, a green permanent marker, confetti, gold stars to fit inside the egg, white school glue and white tissue paper circles. Mario’s mustache is almost as famous as he is. This pin the mustache on Mario makes for a fun twist on a classic party game. 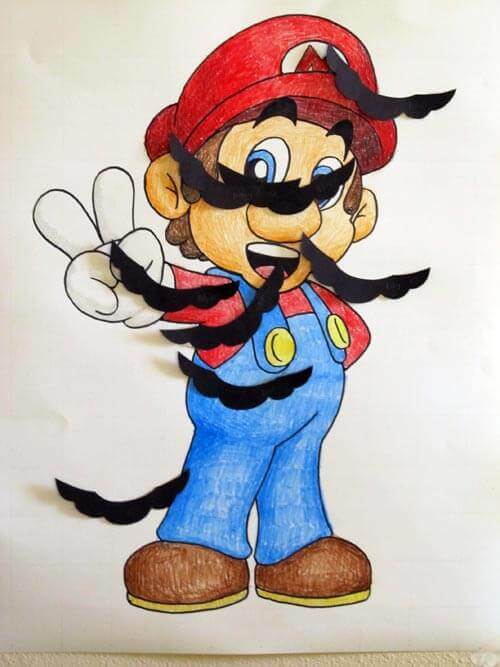 You can hand draw your Mario and cut mustaches out of cardstock, or enlarge a readymade photo of Mario to use for the game. Whip up your own fire power for your next Super Mario Brothers party. 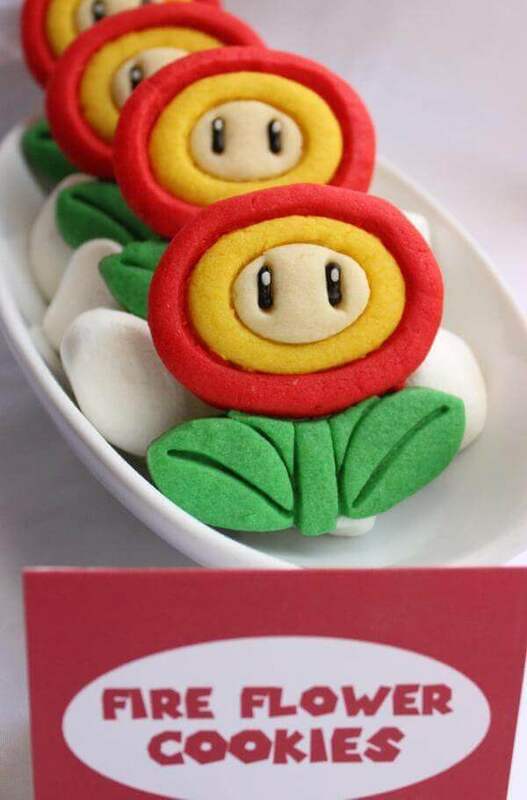 These fire flower cookies are made using a cookie cutter and dyed cookie dough.